On Friday, May 24, 1996, I set out on a journey to the Far East. Never having been there before, I did not know what to expect. My husband had gone ahead two weeks earlier for business. I was comforted to know that he would be there waiting for me in Hong Kong. I traveled together with a group of people in my church from Laie, Hawaii. They were all going for the purpose of attending the Hong Kong LDS temple dedication. My husband and I would attend the dedication, but spend the rest of our time away from the group exploring Hong Kong. My daughter dropped me off at the Honolulu airport to pick up a flight on China Airlines. I sat by an older couple and next to the toilet. It was hard for me to rest because of all the passengers making their way to relieve themselves. When I tried to start up a conversation with the elderly man beside me, he told me that he was hard of hearing. I spent the majority of the flight reading my Reader’s Digest and any other reading material I could find. I dozed on and off a couple of times and watched the movie “Sabrina” with Chinese subtitles appearing across the bottom of the screen. The jet took us to Tokyo, Japan for our first layover. We had flown for eight hours. My first time in Japan, and all I got to see was the airport. We were there for nearly an hour. I located a toilet facility and there were two stalls. One had a conventional toilet, although it was child sized. 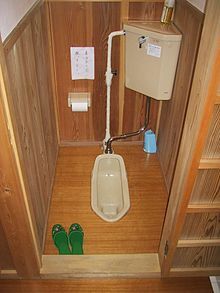 The other stall had a Japanese toilet, which was just a hole in the floor. You were required to squat down to use it. This was my first experience with this sort of convenience. I spoke to my husband on the phone and he told me “don’t be scared”, which left me wondering what there was to be scared of. Again, we boarded an airplane and were headed for Taipei, Taiwan, where we would have a longer layover. Right after our take off, we were able to see Mt. Fuji on the right side of the plane. It was very majestic and snow covered. We were served attractively prepared Japanese food, but I ate very little as it smelled unfamiliar. We arrived in Taipei three hours later and we got to know the airport very well. We gained five hours, but lost a day on our trip. The sky was very dark as we made our final approach into Hong Kong. There was quite a storm, rainy and windy, and there was a great deal of turbulence. I became alarmed and started praying that we would be able to make it. 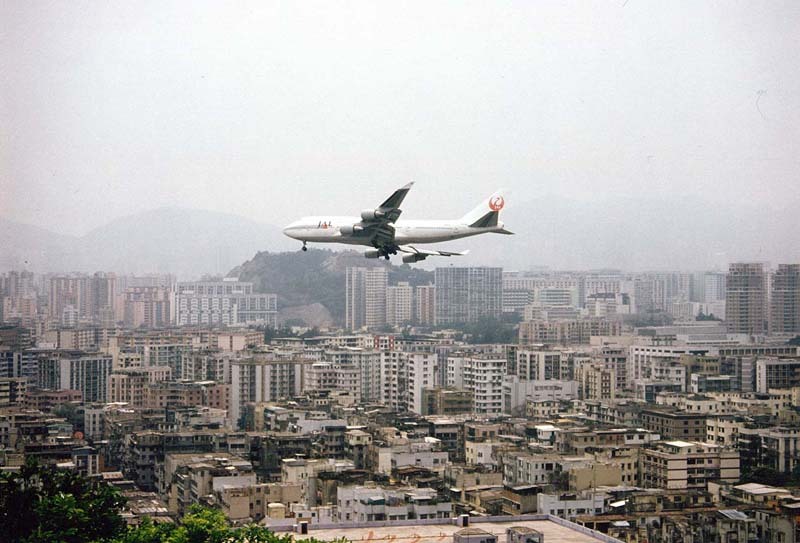 I was sitting by a lady from Hong Kong told me that Hong Kong was one of the hardest airports to land at! She said that we had to land right in the middle of the big city, where there were sky scrapers all around. Just at the time she said that, I looked out the window to see tall buildings, and then the plane suddenly dropped, almost like a roller coaster ride. Then it picked up speed again, and I no longer saw the skyscrapers. I figured we were going to try to make another approach from a different direction. 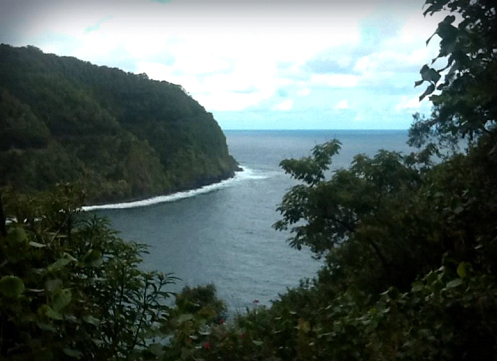 Amidst controversy and against my better judgment, I boarded a red minivan headed on the Road to Hana, Hawaii. Just a month earlier, I had heard on the news that a tourist had taken an unexpected fall off a cliff in Hawaii. An acquaintance had also tried to dissuade me by sharing how car sick his wife was on the road to Hana. All this negativity just made me want to go more to see if it could possibly be that bad. Armed with a dozen Krispy Kreme glazed donuts, suntan lotion, a map, and my camera, my son, my daughter-in-law, my husband and I bravely began our journey. The road suddenly turned from a straightway to a very windy paved path. It hugged the undulations and furrows nature had carved into the lava mountains of the Ko’olaus. We wondered how the road construction workers had managed to keep their equipment from plunging into the sea that eerily waited below. Luckily for us they had installed guardrails to keep us from plummeting to our demise along the way. The road narrowed as we approached one of over twenty bridges over the chasms between the cliffs. We captured a few glimpses of waterfalls and I had to remind my son, the driver, to keep his eyes on the road rather than on the scenery. He mentioned that he loved driving on roads like this, thankfully. I tried to keep track of where we were on the road to Hana by scanning the map. With the twisting road, it didn’t take long before my stomach started to feel queasy. My daughter-in-law had taken Dramamine and she seemed to be doing fine, while she dined on potato chips, Snickers and other delights. I had read that it “is the journey and not the destination” that is important on the road to Hana. 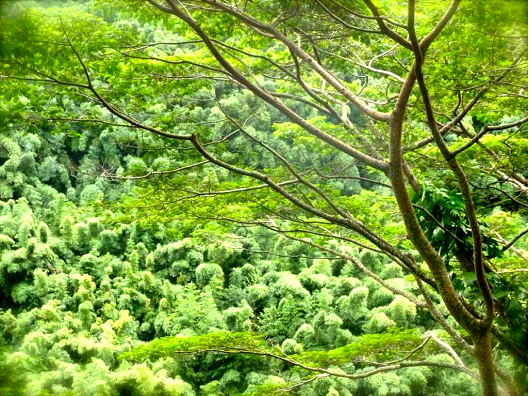 The mountains are covered with trees, ferns, and plants of all kinds. It was a photographer’s heaven for sure. My artistic mind went into overload and I had to make my son stop, especially when we reached the bamboo forest. It was simply magical. Quite a few tourists had made the journey, and where the road narrowed, either they or we had to pull over to let the other one go. People are so kind. Locals dwelled in the small valleys between the waterfalls. I’m sure they do not appreciate all the traffic, but some of them have seen the great opportunity to open up little shops and sell local fruits, ice cream and banana bread at highly inflated prices. My favorite was a little place called Harry’s that left the goods out by a sign that said, “Honor System.” My husband picked up a small loaf of banana bread, dropped his money in a box, and we left. No one was around! Local style! Just when we thought we could not go on, we took a left turn down a road towards the ocean. At the end we were greeted by the most amazing panorama, we felt like we had stepped into a dream. It was nonstop beauty for 360 degrees. Breathtaking! It made the whole trip worthwhile. I never knew the Garden of Eden was in Maui, Hawaii, but sure enough, it is. I even found myself looking around for Adam and Eve as I sauntered through the flowering trees, bamboo forests and exotic anthuriums of the tropical gardens. 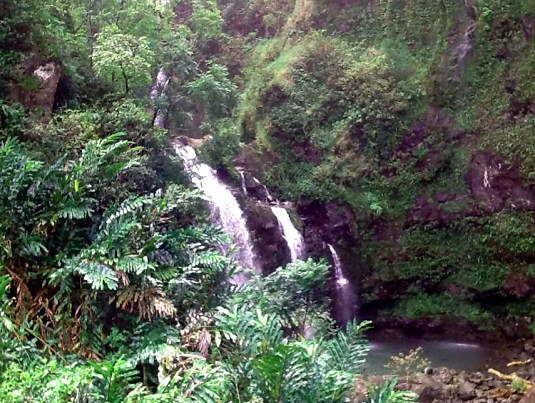 The botanical garden known as the Garden of Eden is located in Haiku on the Road to Hana. Created by Alan Bradbury, a certified arborist and landscape designer in 1991, the garden was opened in 1996. It has been recognized by the state of Hawaii for excellent conservation practices, development techniques and proper land use. Our walk through the Garden of Eden was educating, relaxing and breathtaking. 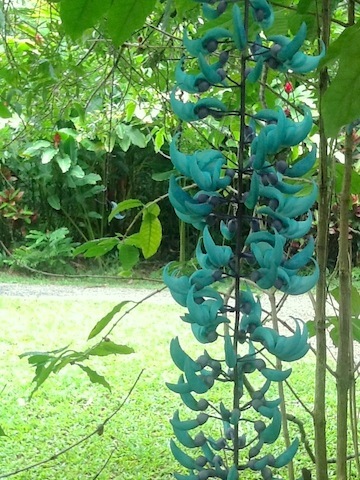 I even saw a flowering Jade Vine, with shades of blue rarely seen in nature. It is usually found in the Philippines, and I was totally enthralled by this species. The vines wind around each other and create natural art. Signs identify many of the trees and plants and come from around the world. There are a host of ti plants in the garden. 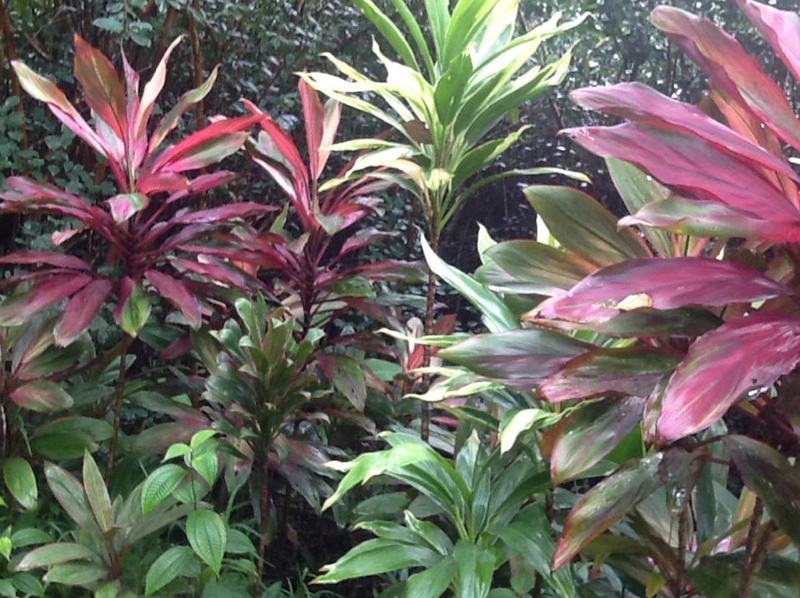 These plants are utilized by Hawaiians for a variety of reasons. The roots can be eaten or used for a drink. The leaves can be used to cover an imu (underground oven), wrap laulau (food cooked in underground oven), catch fish by tying them to fishing nets to scare the fish inside, or used as sandals to protect the feet or as a protection from the rain. Ti leaves are used as hula skirts and are believed to keep evil spirits away from the home. Trails are covered with gravel for safety throughout the garden. A map is available so you experience all there is to see over the 26 acres of enchanting pathways and not get lost. It is quite humid in the area, so it is best to wear good walking shoes that have a good grip. The average rainfall in the area is 150 inches per year. Areas available to see include a tree farm, banana patch, enchanted forest, bamboo alley, anthurium garden, duck pond, bird feeding area, valley overlook as well as a waterfall overlook. 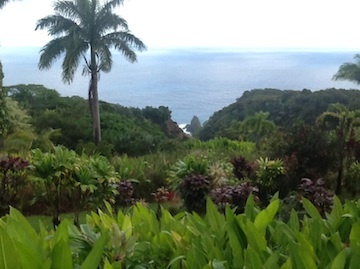 You can see the Puohokamoa Falls from the ridge line on the Hana side of the gardens. A 100 year old mango tree is located near the center of the gardens. My favorite were the bamboo gardens. I had no idea there were so many different kinds of bamboo. 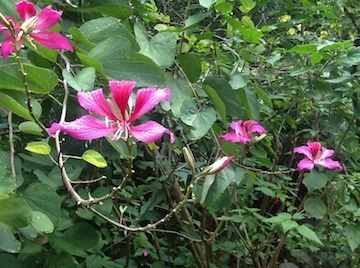 I also loved the Hong Kong Orchid Tree. Living in Paradise, there are plenty of things to capture your attention. One that is often overlooked is the Byodo-In Temple nestled deep in a very lush corner at the base of the Ko’olau Mountain range of Oahu. It is located only thirteen miles from the Honolulu Airport. It is a replica of a temple located in Japan that is over 950 years old. There are no nails or screws to hold it together. It is bound with braided ropes like the original temple. To get to the temple from Kamehameha highway, you pass through a well maintained cemetery. The temple is actually part of the cemetery, and the Buddha located in the center of the temple watches over several urns of cremated remains. 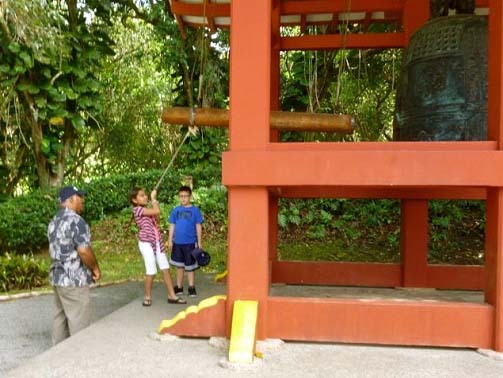 Children and adults enjoy striking the bell near the entrance with a soft wooden log (shu-moku). You can hear and feel the deep sound of the sacred bell (Bon-sho). The bell is five feet high and made of brass and tin, having been cast in Japan. The sound it emits is supposed to cleanse the mind of all temptation and evil and give you a sense of peace and tranquility. This helps prepare your mind for entering the temple. Before entering the main part of the temple (Hoo-do), you are asked to remove your shoes in reverence to deity. The impressive golden Buddha is the largest carved figure outside of Japan. It is nine feet tall and is covered by three coats of gold lacquer, lastly being covered with gold leaf. It was carved by Masuzo Inui, a famous Japanese sculptor. There are several smaller sculptures of enlightened beings surrounding the Buddha. Incense burns and fills your nostrils as you peer at the massive Buddha. 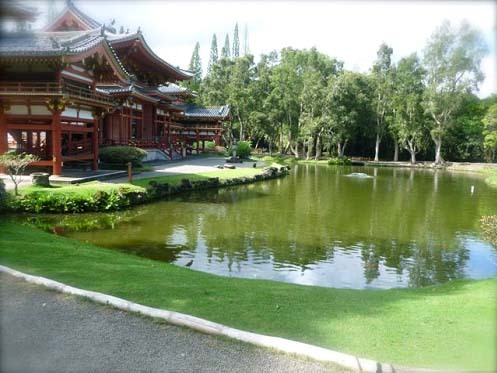 The Byodo-In temple welcomes people of all faiths. It is a place of harmony and meditation. The beautiful landscape includes a large pond and some small waterfalls. Black swans and hundreds of koi make their home in the temple grounds. Koi can live to be 100 years old and some of them are huge. An occasional peacock, frog or turtle can be spotted. 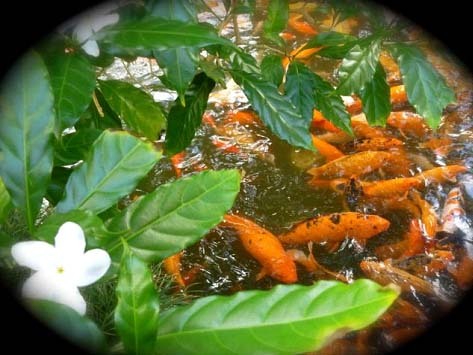 You can purchase fish food at the gift shop and enjoy watching the koi feed. The temple is a Hawaii State landmark. Buddhism Prayer Service is led daily by local bishops. There is also a meditation pavilion for personal use. Occasionally guest artists display and give demonstrations of their work. Sumi-e and ikebana are ancient oriental art styles which are often part of the demonstration arts shown. Also local Hawaiian arts including ribbon lei making are offered. There is a small gift shop where you can find unique items, including oriental art prints, statues and even Japanese wedding gowns. A restroom is located at the back of the gift shop. The breathtaking location of the Byodo-in Temple is perfect for wedding photos. It is not expensive or busy like many tourist attractions in Hawaii. The gardens are well kept and even the gravel is raked into a contemplative pattern. Large eucalyptus trees and bamboo align the pond. You will enjoy the peace and tranquility at the Valley of the Temple’s temple. 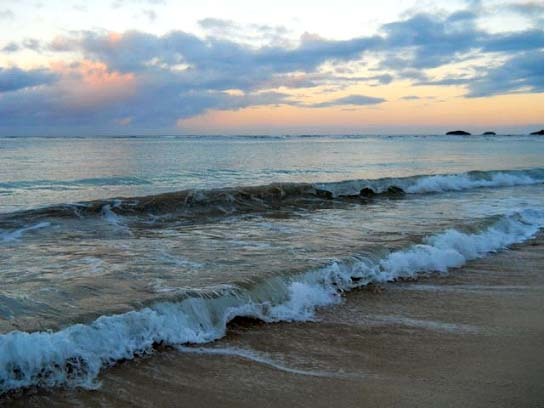 It is considered one of Oahu’s hidden gems, and I have often taken guests there. My grandchildren truly enjoyed feeding the fish and roaming the expansive grounds. The week after Christmas 2012, we took two of our grandchildren and their parents to see the Bernice Pauahi Bishop Museum of Hawaii. We have been members of this worthwhile establishment for a few years now. 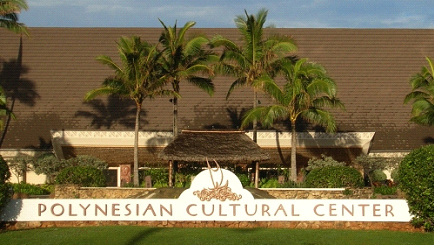 It is an educational center and gathering place for locals and visitors to Hawaii. Their mission is to preserve Hawai’i’s cultural heritage and natural history. Through the donations of many supporters, the museum has grown in leaps and bounds. The latest addition is the newly renovated Jhamandas Watumuoll Planetarium. We were excited and pleased to see the improvements, which now feature cutting-edge technology. The program “The Sky Tonight” is shown on an enhanced “hybrid” system utilizing a new Chronos II star machine and a full-dome video system. Just installed reclining seats assist you in lying back and enjoying the cosmos in a comfortable position. Ancient seafaring navigation by the stars is featured in film and reading the stars overhead. 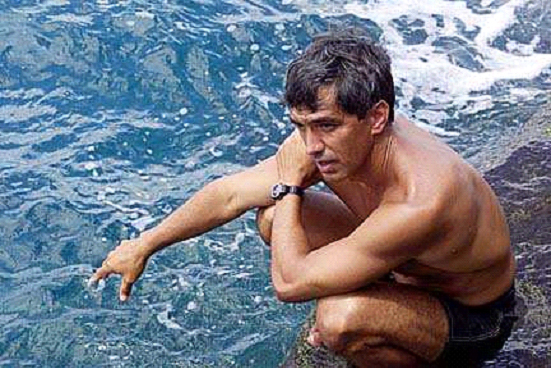 You are trained on how to find your own way by the stars throughout the islands of the Pacific. Our grandkids really enjoyed the experience and learned more about our vast cosmos. The Bishop Museum is well known for ground breaking research in entomology, botany, zoology and other areas of study. The current display is called Xtreme Bugs. 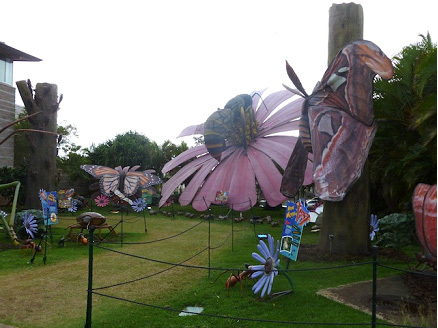 There are 130 animatronic larger-than-life insects on the expansive lawns. They include a Centipede, Tarantula and Orchid Mantis. My granddaughter has never liked bugs very much, and at first was a bit hesitant, but perhaps because of the beautiful butterflies and ladybugs, she overcame her fear. Each display gives informative bits about what you are seeing, including somber facts like the disappearance of bees and the eventual outcome if it continues. The museum aims to entertain and inform people of all ages. There are artifacts, hands-on activities, lectures, and entertainment. There are videos, books, artwork, and plenty of photography from days gone by. Many stories are shared about immigrants to the Hawaiian Islands. 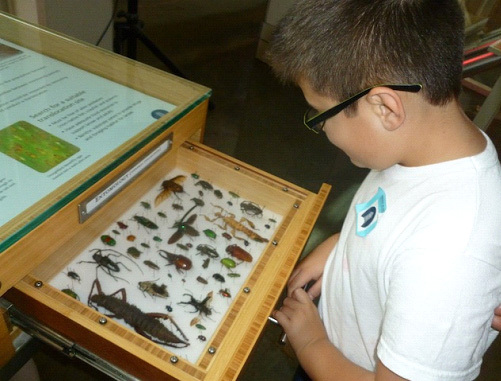 At the Richard T. Mamiya Science Adventure Center in the museum, children were able to help make a volcano erupt by applying pressure, see the dynamics of a tsunami, dress up as different bugs, and actually see drawers full of mounted bugs. The Bishop’s Museum was founded over 100 years ago. During that time, the museum scientists have been able to name about 18,000 species of the native plants and animals found in the Hawaiian Islands. 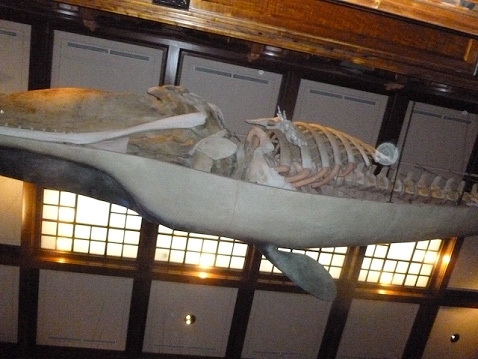 Most of them are depicted throughout the museum with their scientific names as well as their common names. Exhibits are changed a couple of time a year to give fresh information for repeat visitors. HI Fashion, which gives a history of the aloha shirt and features a large collection of Shaheen designers. The display has over 200 pieces of aloha shirts and Hawaiian dresses. The Bishop Museum is a worthwhile and inexpensive place to spend time with family or to take visitors for an all-in-one educational experience in Honolulu. There is so much to do and see in Hawaii. Hiking, swimming, golfing, cruising and gardening are just a few things that can be done almost year round. Family and friends visit as often as they can to escape icy winters in the mainland. 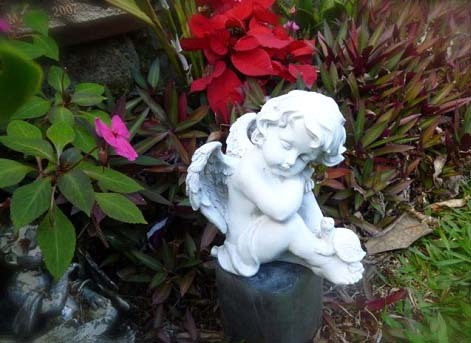 There are mainly two seasons in Hawaii, the dry season and the wet season. Beautiful scenery, temperate weather, and beaches abound! Temperatures rarely go below 70 degrees Farenheit. Living in Paradise definitely has some perks but, unfortunately comes with some extra costs. 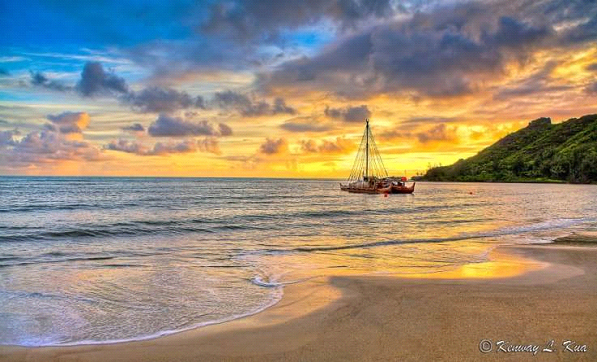 Hawaii is a group of islands in the middle of the huge Pacific Ocean. Because of the distance from exporters, extra shipping costs are attached to groceries and most items ordered online or brought in from Asia or the mainland United States. Milk is currently nearly $5.00 a gallon since it is imported. Median home prices in Hawaii are half a million for a very basic house plan. The cost of housing can be two or three times as much as on the mainland. It is also usually smaller than what most people on the mainland are used to. Monthly rental costs for a studio only is around $1,000 per month. Rentals with bedrooms and amenities are usually $1,500 plus monthly. The moist salty air of the islands is perfect for rusting just about everything. Vehicles and appliances seem to suffer the most. Also, mold and mildew can form quite easily especially in places where it is warm and moist like the kitchen and bathrooms. This can be harmful to your health if the mold is allowed to grow. It takes extra effort and chemicals to keep this under control. All of this can up to extra costs for appliances, vehicles and maintenance. Since the weather in Hawaii is fairly good all year round, the insects and other pests love Hawaii too. To avoid infestations by termites, cockroaches, mosquitoes and other creatures, frequent treatments are required. It is less expensive to control invaders than to get rid of them. Food items go bad quicker in Hawaii. They must be stored inside plastic air tight containers. If the package is left open for chips, cereal or other snacks, the crispness will not last. Electricity needed to run air conditioners, appliances and technology can be very costly. The average charge per kilowatt hour is 30 cents. During the hotter summer months, electricity bills rise as people try to keep cool with fans or air conditioners. Hot showers are a luxury for some. Many homes have installed solar panels to help solve this problem. Wind farms are popping up around the Hawaiian Islands. Traffic on the island of Oahu can become very frustrating, especially close to Honolulu. There is only one main road going to the North Shore of Oahu, which can also be totally cut off if there is an accident or an electricity pole falls down on the road. If there are surf competitions at Pipeline or Waimea, traffic can come to a halt as drivers gawk at the huge waves. Gasoline is around $4.00 a gallon (2013). It is wonderful to have sandy beaches and palm trees close by, but living in Paradise does come with increased cost. Prices in Hawaii are some of the highest in the nation. Fortunately, there are WalMarts, Costco and Sam's Clubs where deals can be found. Despite the cons of living in a Hawaiian paradise, many people make daily sacrifices to stay here. Here in the Hawaiian Islands, the holidays are not complete without plenty of great food. In our home, we usually have the traditional American food, and since there are so many different cultures here, we also have a potpourri of other delectable food items. This is necessary to please all the guests, and to share with the neighbors. 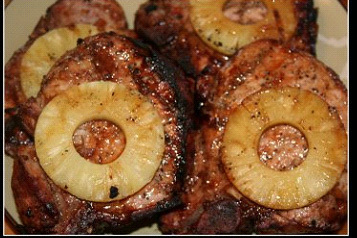 At Thanksgiving, besides the turkey, stuffing, potatoes and gravy, you may find on the table some Hawaiian Pork Chops, Hawaiian sweet bread, and one of my favorites, mochi (yummy dessert made of rice flour). Christmas is more than ham, potato salad, fruit salad and pies, but also consists of laulau (taro leaves, corned beef, onions and coconut milk), raw fish, otai (watermelon, mango or apple drink which you scrape and add coconut milk and sugar) and pineapple bars, just to name a few of the possibilities. In Hawaii, the word for delicious is “ono”. Sometimes we mix the two and say the food is onolicious! One particular tradition that seems to be carried over is the tradition of Christmas morning breakfast. A fast bowl of cereal will not do. This holiday feast consists of New Zealand sausages, bacon or ham, omelets, rice (gotta have rice), pancakes, waffles, or bread pudding. 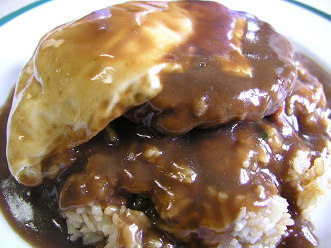 Real locals will go for Loco Moco which is a hamburger patty, two scoops of rice topped with gravy and covered with fried eggs. It could also have a macaroni salad on the side. Here in the islands, we don’t eat until we are full, we eat until we are tired! So for some of us, breakfast may extend all the way until dinnertime. Never mind gout or diabetes during the holidays – that is what the New Year Resolutions are for! Just make sure your high blood pressure and other medications are on hand! Santa is more likely to find a whole suckling pig waiting for him than a little plate of cookies and milk. Many Hawaiian families go all out and dig an imu (underground oven) where they may cook their turkey, ham, laulau, root crops like sweet potato or breadfruit and fish. Often they cook a whole pig in this traditional Hawaiian oven. The men do most of the heavy work, which is great for the women, who busy themselves with the desserts. Place chops in crockpot. In small bowl, combine mustard, vinegar, hoisin sauce, salt and pepper. Drain the juice from the pineapple chunks and add it to mustard mixture. Reserve the pineapple chunks. Pour the sauce over chops in the crock pot. Cover and cook on low for five to six hours or until the meat is tender. Remove chops and keep warm. Turn to high. Dissolve cornstarch in water in small bowl and stir the cornstarch mixture into the juices in the crockpot. Cover and cook on high for 10 to 15 minutes. Stir in the pineapple chunks and papaya. It is best if the papaya is firm – not mushy. Serve the pork chops and add coconut and macadamia nuts if desired. Yum! Depending on where your ancestors are from, in Hawaii you may eat kimchi, malasadas, adobo, curry, or dim sum. I have acquired a taste for most of them (except kimchi), but my kids love it. Merry Christmas to all, and make sure you get your fill of onolicious holiday treats. Having experienced four distinct seasons in Utah, our small children were a bit concerned about Christmas when we moved to Hawaii, the land of eternal summer. Rarely does the temperature on Oahu get below the high 60s in December, and chimneys are quite rare. How could Santa find us in the middle of the Pacific Ocean and with no snow for his reindeer? 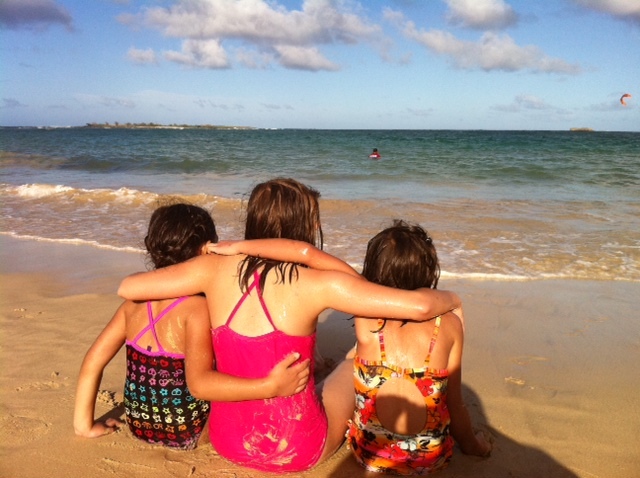 We soon learned a different way to say Merry Christmas, Mele Kalikimaka, together with many new holiday firsts. Our favorite thing to do on Christmas soon became putting together a picnic lunch and heading for the beach. 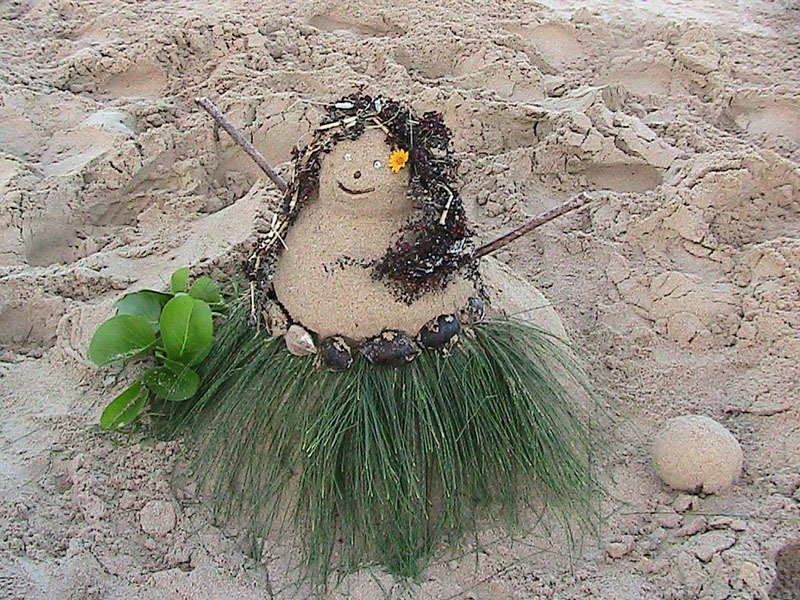 Instead of making snowmen, you can make sandmen at the beach. I admit that we missed the beautiful snow right after a storm as well as winter sports, and it was a bit hard getting in the holiday mood whilst baking Christmas goodies sweating in the hot kitchen, but some things are quite similar. The first week of December the big town of Honolulu turns on the Christmas lights. It is a very festive and exciting time for everyone. There are rides for the children and plenty of food booths. Choirs, quartets and other groups share Christmas music, and the malls and little stores get involved in the joyous celebrations. Since winter in Hawaii is usually when we have the largest waves, there are many surf competitions. The North Shore is crawling with surfers and admirers from all over the world. Some of the waves get over twenty feet tall, and only the best surfers can maneuver them. So, while some people on the mainland are enjoying a winter wonderland skiing on the slopes, seasonal waves in Hawaii are reaching record heights. One competition, The Quiksilver which has only been held eight times in 25 years, happens when the waves are a sustained 20-25 feet high. Some of the faces exceed 40 feet. The last time the competition occurred was in 2009. 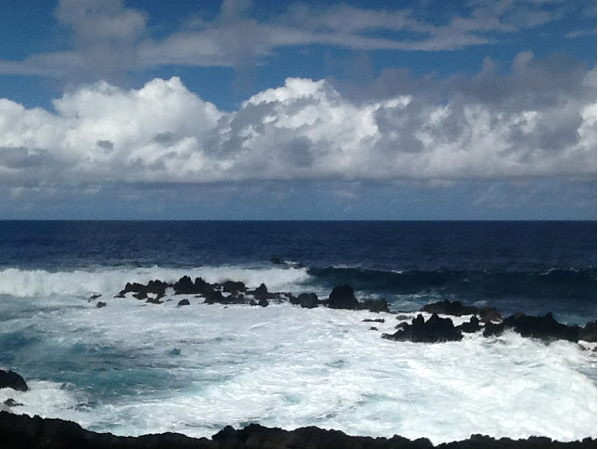 The surfing competition is held when the waves are at their best at Waimea. Mele Kalikimaka is Hawaii’s way to say Merry Christmas to you. 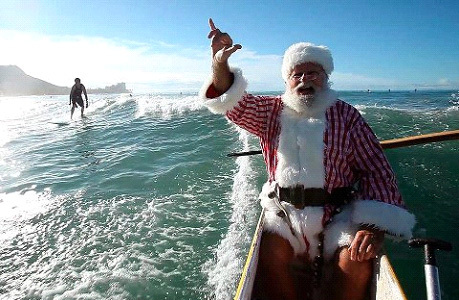 Images of Santa in Hawaii may not have a red felt suit on, but rather a lavalava and aloha shirt, and he will be riding a surf board instead of his sleigh. Stores still sell sweaters and warm clothing, since some of the locals who have lived their whole lives here get cold when the temperature goes below 70 degrees. It is not too unusual to see people wearing socks with flip flops. We learned to adapt in many ways to our Christmas holiday in Hawaii, but have found that the Christmas spirit is alive and well in Hawaii. I live next door to one of the most popular destinations in Hawaii. It had very humble beginnings and is now considered the favorite attraction on Oahu. 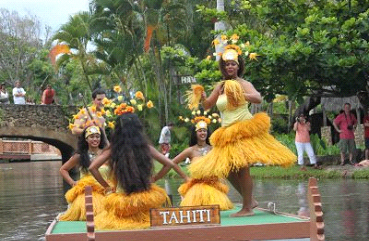 The Polynesian Cultural Center gives an in depth experience with seven Polynesian Countries. 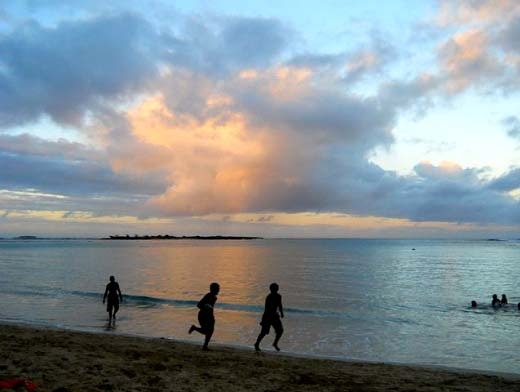 These include Samoa, Tonga, Fiji, Tahiti, Aetearoa, Marquesas, and the host islands of Hawaii. You can spend a whole afternoon and evening getting familiarized with the cultures and traditions of these Polynesian identities. There is something for everyone at this attraction. Each Polynesian Culture has a village where you can observe and participate. There are demonstrations by native Samoans, who show you how to start a fire by rubbing sticks together, cut a coconut in two with a rock, and climb a coconut tree. You can try to twirl the poi balls, play a stick game, or get a temporary tattoo at the Maori village. Play the log drum in the Fijian village or learn basic hula steps in the Hawaiian village. 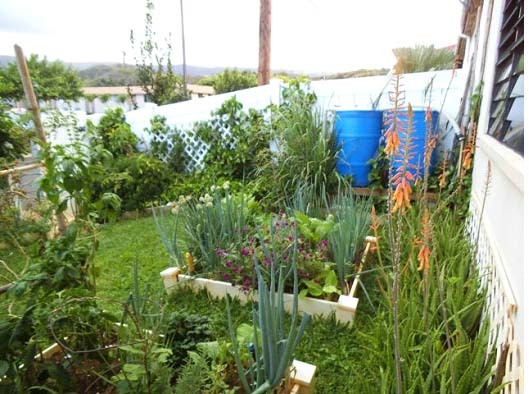 You can also observe Hawaiian quilting and learn about local root crops. Children and adults can make crafts in the villages, like woven hats. They can also fish from the pier at the Tahitian Village or learn how to make a fragrant lei. One game everyone enjoys is the shuffleboard in the Tongan Village. Tiki and other wood carving demonstrations by skilled Polynesians can also be enjoyed. You can learn the basics of ukulele playing near the large canoe, Iosepa. Large canoes drift leisurely over the lagoon guided by a university student with a long pole. Guests are entertained and educated as they pass under several bridges and past the Polynesian villages. Every day at 2:30 pm there is a canoe pageant. Each Polynesian culture is represented by dancing and singing on the canoes as they are maneuvered around the lagoon. It is a very colorful and exciting show, not to be missed. Visitors are encouraged to capture photos of their experiences throughout the center up until the night show. There is an exhibit of the Iosepa, a working double hulled canoe made for the center. 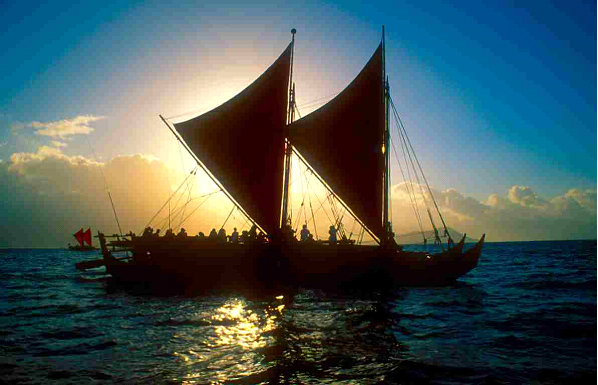 It is patterned after those used by the ancient Polynesians to navigate the South Pacific. You can experience authentic Polynesian food at the various diners, learn about underground cooking or feast at the Ali’i Luau. Light snacks and drinks are available also. Fine dining starts at 5:00 pm, which includes lobster and other delicious favorites. You can purchase souvenirs to remember your experience at the Polynesian Culture Center at several different shops. You can take a tour of the nearby community, including Brigham Young University Hawaii, where it all started, and learn of the history of the center. You can also visit the local LDS Temple and visitor's center in the community of Laie. 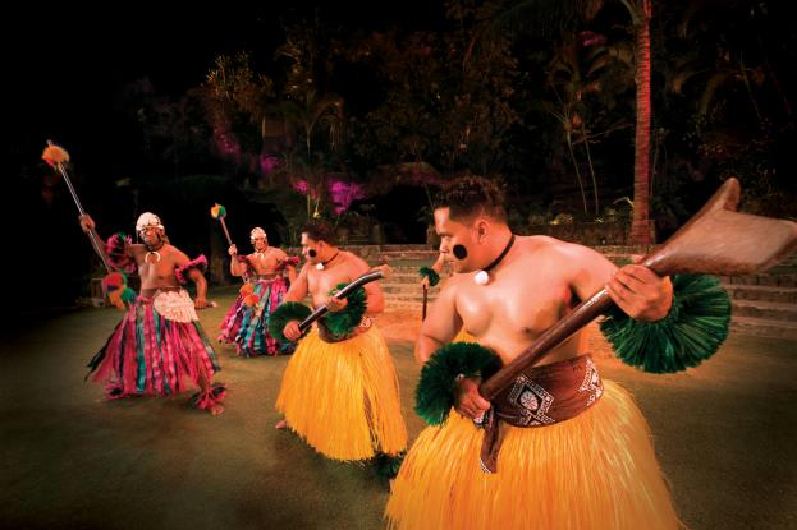 The Polynesian Cultural Center experience culminates in a large theater including a state of the art light and sound show entitled "Ha, Breath of Life". This masterpiece tells the story of a young boy, Mana, and his experiences of growing into manhood in the Polynesian Islands. It has received rave reviews. The Polynesian Cultural Center is dedicated to the preservation and perpetuation traditions and culturs in the islands of the Pacific. The majority of the employees are the students from the nearby Brigham Young University – Hawaii. Many of these students return to their homelands after graduation to become leaders and share the skills and knowledge they have obtained. 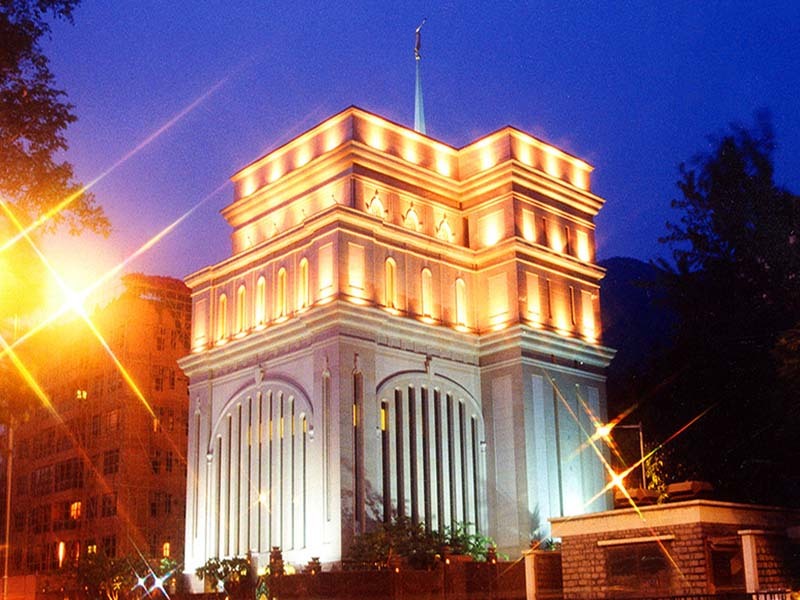 The center is considered one of the world’s most successful theme attractions, and was built in 1963 by Mormon labor missionaries (Church of Jesus Christ of Latter-day Saints).